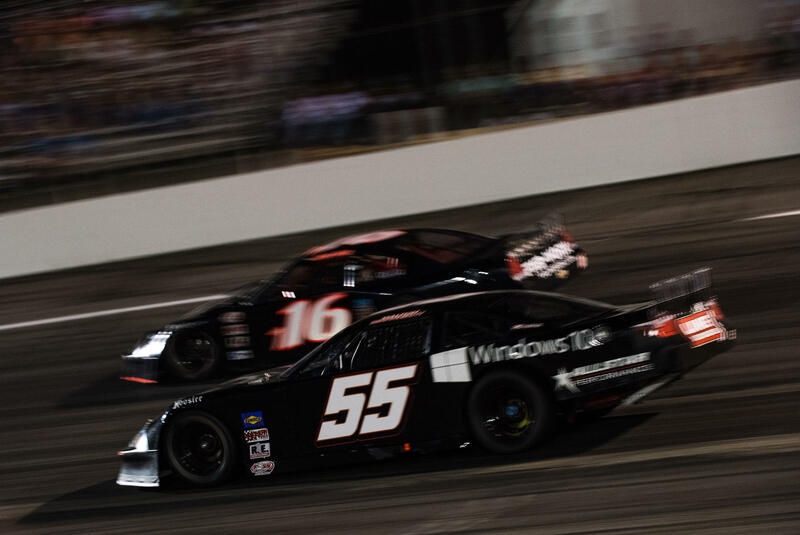 Charlotte, N.C. (August 13, 2016) - South Boston Speedway played host to a 125-lap Pro All Star Series South event that featured a spirited battle for the lead between Dalton Sargeant and Preston Peltier but neither would capture the checkered flag. Sargeant and the Windows 10 Toyota Camry was fast throughout practice but qualified in the 10th position. 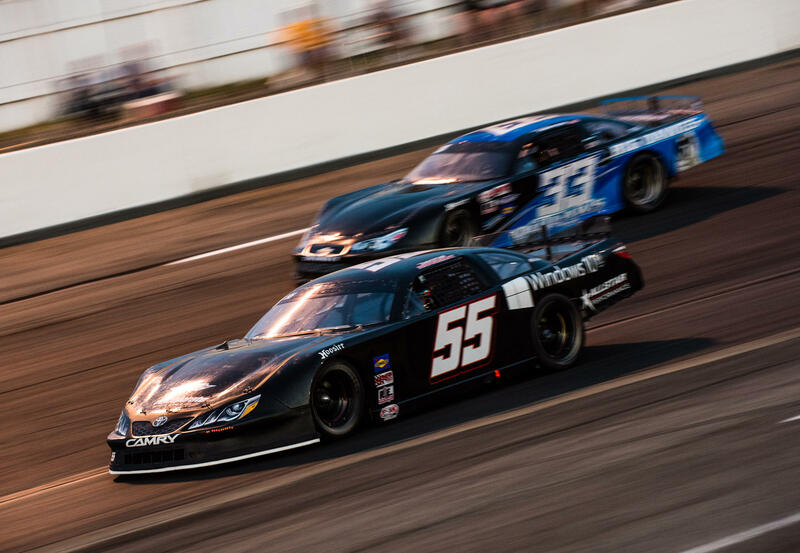 The poor qualifying did not deter Sargeant as he quickly made his way through the field to battle for the lead on lap 25 with a driver who is a legend on short tracks all round the Southeast, Preston Peltier. 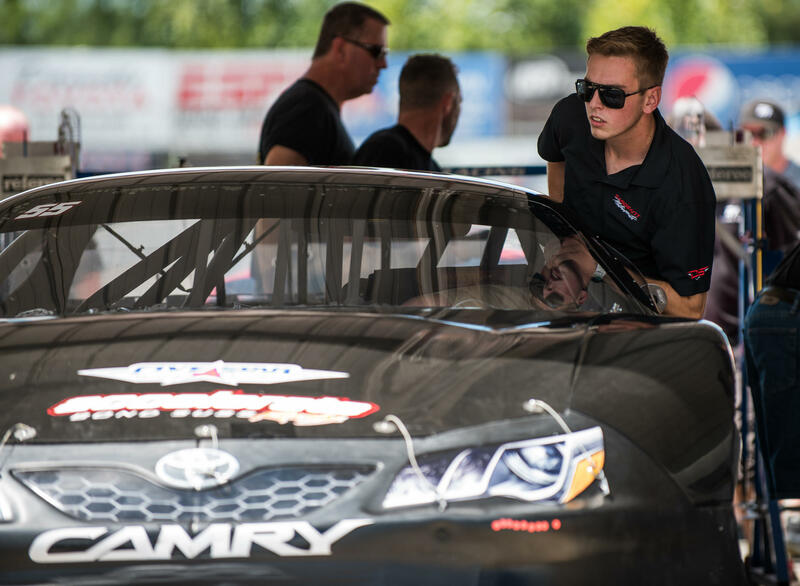 As the 125-lap event wore on, neither driver would have what it took to come with the win as both faded in the late stages with Sargeant finishing in the 3rd position. "Tonight was a really good step in the right direction, we had a really fast Windows 10 Toyota Camry but we just ran out of tires there at the end to have anything left for a battle for the win. It took some time to get up to the front of the field, and then battling with Peltier for the lead hurt our rear tires and we started to lose grip right around lap 85. It just goes to show how competitive these super late model races are in the South, we barely missed the setup and I used the tires a little too much battling for the lead and that translates into a 3rd place finish. Great effort by our team in really hot conditions at South Boston Speedway, proud of my guys and speed of our cars."